Since we’re subject to market conditions, two championships will be offered up for the public’s verdict: the so-called Classical World Chess Championship and the Absolute World Championship. And let’s see where the sponsors put their money. From the financial support we might see, for example, that if the “absolute” champion attracts a million dollars, and the “classical” only ten thousand, then that’s all his crown is worth. Let the market decide, without any state regulation. Against such a backdrop, the Moscow bid seems like manna from heaven. And Ilyumzhinov will be free to pursue other projects, such as revisiting Muammar Gaddafi in Libya in the coming days (a desire Ilyumzhinov repeated today, while lamenting the International Criminal Court’s decision to issue an arrest warrant for Gaddafi). For this tournament marking the centenary of the birth of Mikhail Moiseyevich Botvinnik (1911-1995) we’ve invited the world’s best chess players – Vladimir Kramnik, Levon Aronian, Viswanathan Anand and Magnus Carslen. Also appearing in the parallel women’s event will be the best female chess players in the world – the Russian Tatiana Kosintseva, the Indian Humpy Koneru, the Armenian Elina Danielian, and the European Champion, Viktorija Čmilytė from Lithuania. …the clocks will be stopped. And each player will spend about a minute and a half telling the spectators about the opening played and the evaluation of the position. During that time his opponent will listen to music on headphones before also giving his opinion. Perhaps the idea’s inspired by the BBC’s Master Game, which has recently been revived on the internet. Some late-70s technical wizardry made it seem as though you could hear the thoughts of top players as they contemplated their moves – though the crucial difference was that the game was played normally before the thoughts were added. It’s safe to assume Botvinnik wouldn’t have approved of stopping a game of chess for a quick chat with the audience, though he also wouldn’t have approved of rapid chess in the first place. Not at all. I mean, we’re remembering Botvinnik, and it’s a chance for chess players to get together and remember him. But should we really play a 16-round tournament just because he would have liked it that way? It was not practical. I think the aim was just to highlight what a great figure in chess he was and that’s it. But I agree, yes, he was not very fond of blitz. I always remember the story – I think Genna [Sosonko] asked him if he ever played blitz, if I remember correctly, and he said something like, “Yes, once in the train in 1931”, or something like this. I always thought that was very funny. Levitov also revealed that on the 4th September the 8 players will take part in a simultaneous display against 80 talented children from all around Russian, with each grandmaster playing 10 games. Whatever Botvinnik might have thought of his memorial, it should definitely be something for the rest of us to look forward to! UPDATE at 12:00 CET, 28 June: Moskovskie Novosti (Moscow News) quotes Kirsan Ilyumzhinov’s assistant, Berik Balgabaev, as confirming the receipt of the Moscow bid. He says he has no right to reveal details of any other bids at this stage, but notes “great interest in holding the match from India and Israel”. After the rapid there will be games played in pairs: Kramnik and Kosintseva, Anand and Koneru, Aronian and Danielian and Carlsen and Cmilyte will compete to find the strongest “mixed” pair. Those pairings are all based on nationality – Russia, India and Armenia, with the exception being Carlsen and Cmilyte. Now would perhaps be a profitable time to be a highly-rated female Norwegian player! The other new information concerned the Russian bid for the Anand-Gelfand match. Levitov gave a short interview to Yury Vasiliev of Sport Express, in which he revealed the anonymous “major sponsor who really loves chess” wasn’t proposing the bare minimum prize fund of 1 million euros, but instead 2 million dollars. That would be around 1.4 million euros, in comparison to the 2 million euros prize fund in Sofia (it’s possible, however, that there was some confusion over euros and dollars in the interview). The sponsor would take on all the organisational fees and taxes, and Levitov revealed that they’d already considered the possibility of holding the match in one of Moscow’s world famous museums: the State Tretyakov Gallery, or the Pushkin Museum of Fine Arts. I’m very glad overall that the match will take place. I won’t say that playing in Moscow will be like playing at home. 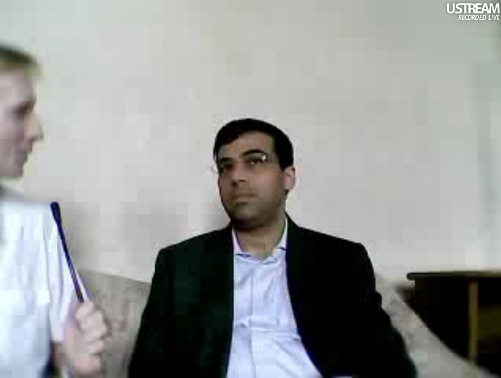 I think Anand will also feel comfortable in the Russian capital. I know he has a lot of fans there. But I hope people will also be rooting for me in Moscow. The anonymity of the mysterious sponsor didn’t last long! 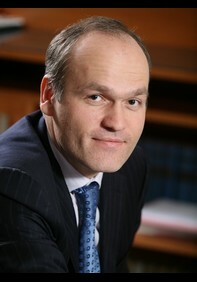 The Russian business newspaper Kommersant reports that several sources have told them it’s Andrei Filatov, a self-made billionaire with a net worth of 1.1 billion dollars (according to Forbes). The Ukrainian-born Moscow-based businessman is co-owner of a transport infrastructure company, but is also, as Levitov said, a genuine chess fan. Kommersant also quotes another response by Boris Gelfand to the news of a possible match. Gelfand called Moscow “the world’s most chess city” and said that holding the match there “might be the best option”. He says that so far he has no knowledge of any specific steps being taken towards holding the match in Israel. I must say that I would be shocked if players like Anand-Kramnik-Gelfand-Chuky agree to this idea. And the impunity with which His H0liness can blatantly declare that he is tired of doing one major part of his job is amazing… (especially given that it’s generally accepted that it’s His presence that repulses sponsors). On players agreeing to stop and talk during the games – in any serious competition they obviously wouldn’t, but when they’re being highly paid to play 6 rapid games I guess they probably won’t have too much of a problem (especially as Anand, Carlsen, Kramnik & Aronian are all communicative). Of course if rapid ratings are introduced it’ll become a different matter… Actually, I wonder if it’s been considered that it might actually become harder, and certainly more expensive, to find players for rapid/blitz events if they become “serious”. 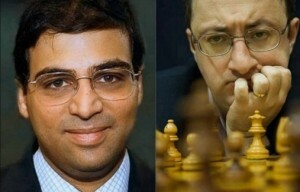 I am happy that Gelfand and Anand are getting closer to a match. What happens if Anand lose? I guess he has to qualify among all the other possible candidates. Eventually he might be seeded into a Candidate tournament based on being Elo top 3 rated or something. A bit funny that “extras” are mentioned long after the initial announcement of the event, Peter Doggers on Chessvibes mentions a Russian federation press release with another one: “After the rapid there will be games played in pairs: Kramnik and Kosintseva, Anand and Koneru, Aronian and Danielian and Carlsen and Cmilyte will compete to find the strongest “mixed” pair.” Could it be that such ideas actually came from the players themselves?? Though I doubt that Aronian would choose a ‘heavy’ female partner as Danielian … . Yep, I sent that to Peter – must remember to add it here :) The pairings are actually based on nationality – Russia v. India v. Armenia v. … well, there they hit a problem, but having a Lithuanian who’s the European Champion accompany Magnus was a reasonable solution. By the way, one more detail about the bid from Moscow is that it doesn’t seem to be for the bare minimum. Levitov has mentioned 2 million dollars, which appears to be the players’ prize fund (with no tax to pay) – and the organiser (“a major sponsor who loves chess”) will meet all the organisational fees. I’m not sure if dollars should be euros or not – if it was euros it would be the same as the Anand – Topalov match. The mixed doubles idea seems really interesting….why not? And maybe players can eventually form their own pairings like in tennis. The rules would be a novelty but I think even having each partner play alternate moves would suffice. I’ve added a couple of updates to the bottom of the article! The Botvinnik Mem plans sounds like fun. Not really serious chess, but fun nonetheless. And certainly attractive to the audience. As for Kirsan’s whychess interview, I don’t think much of it.It’s pretty much the same crap that Vlad Tkachiev (of whychess) has written before, only this time he claims that Kirsan said it. What I would say is that it seems to have been more of a discussion than an interview – e.g. the fragment I translated here http://www.chessintranslation.com/2011/06/fide-and-new-website-to-change-the-face-of-chess/ seems to be from the same “interview”. So it’s a little unreliable as it stands, but I don’t doubt Ilyumzhinov said what he’s quoted as saying. Of course, if FIDE really wanted a public debate about something then they should produce clear written proposals rather than have Ilyumzhinov give a fairly scatterbrained interview. 1st point: I really enjoy this site, you are doing a great job! 2nd point: They might have chosen Cmilyte as Carlsens partner as they know each other, because Cmilyte is the girlfriend of danish Peter Heine Nielsen (playing in the same team in the next season and last season of the Danish League). So they might try to argue that Cmilyte + Carlsen is a Scandinavien team! Interesting interview, she is indeed a charming lady, and google translate worked out well. I have an idea. Give up “world championship” in current form and develop chess olympics instead. Instead of “gold medalist” the olympic winner would claim “world champion” title. And like in “normal” olympics, there would be a lot of different disciplines. Classical chess, Rapid chess, Blitz chess, Fischer Chess, team world championships etc. Then we would see what has best financial potential. Botvinnik was never one for frivolity and the man spent a lifetime writing, teaching and lecturing on chess to the general public. These marketing gimmicks (player speaking to the audience during game) are a sign of the philistinism of modern times. But why should they be done in the Patriarch’s name? Can’t we leave him alone?Classical chess with a proper time limit is like test cricket. It’s a pity that the Russian Chess Federation and our elite grandmasters have no time to spare for it.